Thread: Should I buy an R34 GTR? Is it only the Z-Tune or is it Nismo versions that have more than 280PS? Bump, and in case anyone pulls up the auction sheet, no I wouldn't but this particular example (accident car). It's just that accident cars often look the best (from the pics at least lol). Honestly I was thinking about it once I had seen what 3-4 grades were going for. In the end, I decided to hold off for a few years, and buy one that's already landed from someone else. It's just that accident cars often look the best (from the pics at least lol). They all unoffically have more than 280hp, that's for sure. And yes, you should buy one. Only thing to be worried about is resale. No one wants (or really has the money, and if they do, they will get their own from Japan) to drop 25-35k+ on a 15 year old rhd car. Alex, you're right sometimes R grade cars do have a better body than some 3.5-4s! Thanks guys, while we're at it let's start learning more about this car. I know it has an upgraded/improved version of RB26DETT and I'm not sure specifically of what is different though. I know it has some computer in dash that shows you the G-Force and lots of other data (not sure if it's standard or not). What is the real standard BHP? Can someone confirm what the standard real BHP is on these R34 GT-R's? Which are the factory ones that have more HP and how much more do they have? I'm guessing most of it comes from the tune and recall hearing of some Nismo editions that had some physical differences aside from the tune. What is the appeal of R34 GT-R? It is considered by many the ultimate and most agree the looks are the best of the GT-R series and this car is almost universally known and admired around the world (even in markets that never had access). 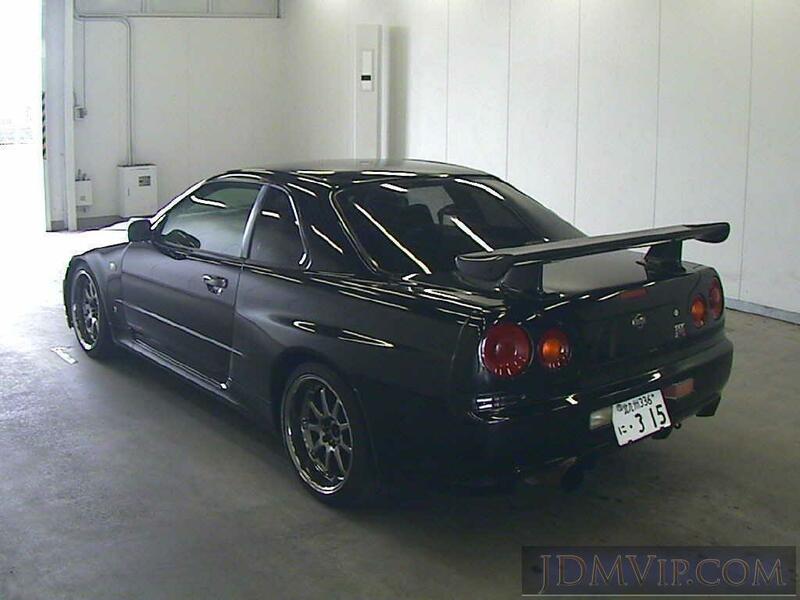 I'd like to get a thread going with similar discussion about R34 GT-R and it's strengths, weaknesses and differences over the previous generations. Anyone feel free to beat me to it, especially those who are Skyline experts! Honestly I expected to spend about $40K for one when I was looking at various auctions. I ended up keeping my original plans to import a S15, so I'll enjoy that for a few years, and then jump in a GTR. I don't see the price going down. For me spending that type of money, I'd like to see it in person before I buy it (so I'd prefer to buy a landed model). I know that the 276hp figure they advertise it is a real understatement, I believe at the crank they push around 330hp at least.